Every week, Bazaar's booking team highlights one name to note, from the industry's best-known faces to girls who are just starting out. 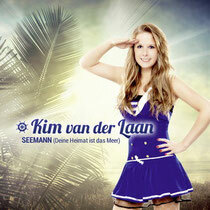 This week, we turn our attention to Kim van der Laan. 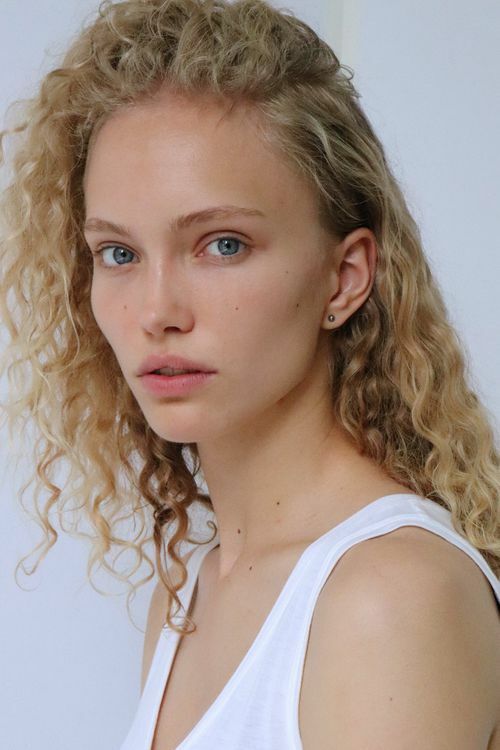 As the latest in a long line of fashion's Dutch obsessions – Lara Stone, Doutzen Kroes and Saskia de Brauw, for example, are household names – the newcomer Kim van der Laan has an irresistible combination of beauty and intelligence. Baby-faced, blue-eyed and with a blonde lion's mane of curls, the 18-year-old has made waves in the industry and her serene expressions allow her to pull off even the most experimental designer creations. Her wide-eyed look is reminiscent of the baby-doll models of the early 2000s (comparisons with Gemma Ward come as no surprise) and it's only a matter of time before designers and image-makers take note. "When she walked into the agency I was so intrigued by her personality, her beauty is so obvious, jaw-dropping," says Mo Karadag at Paparazzi Model Management. "But what makes her stand out is her intelligence and her positive energy." We talk to the model and student about getting scouted while shopping, her home town of Amsterdam and having fresh hair. "It's a pretty classic story actually; I was approached in the city centre [of Amsterdam] while shopping with my mother for Christmas, even though I was only 11 years old at the time." "I'm looking forward to starting my studies in PPLE [an English-language bachelors in politics, psychology, law and economics] at the University of Amsterdam. Maybe I'll use that degree to get involved with a larger organisation like Unicef or a promising social-entrepreneurial start-up. I would love to use my education to make a difference and have a positive influence on people's lives." "Since the modelling ran parallel to high school, it was the chance to travel and meet people in other countries at the same time as going to school. I'm only getting started, I still have so much to discover and experience; a very exciting prospect." "That completely depends on the season and the mood I'm in. It runs from sports like skiing and longboarding to being involved with the European Youth Parliament, to binge-watching shows on Netflix." "My first advice would be to experience the amazing smaller cafés and brunch spots located in Amsterdam. Places like Back to Black and the Breakfast Club just make a day so much more enjoyable. For anyone who likes to get off the beaten path, there is a free ferry that takes you from Central Station to the north of Amsterdam. Take the ferry headed for NDSM-werf and back, the journey is the goal in this case; after it gets dark you will have a beautiful view on a sparkly skyline and a free boat trip all in one." "Does fresh hair count? My curls would be way too frizzy if I were to blow-dry them. However, if I had to pick products, it would be my John Frieda Frizz Ease hair serum for starters (for the same reason as the fresh hair, obviously). The second product would be my Estée Lauder crème concealer; it never fades and helps against tired eyes from all the travelling. Last but not least I have to mention my lip balm, however boring that may sound. There's this authentic Dutch brand called Purol that doesn't focus on packaging or perfumes and it's the only thing which keeps my lips from being completely parched in the winter." "As a model, it's very important to focus on building strength without bulking your muscles to keep a slender figure. This means that my work-outs mostly consist of spending many hours on a treadmill (walking 7mph), and static strength-building exercises like planks, leg lifts and excessive amounts of stretching. It's tough to keep up but is very rewarding." "Some kind of rooftop shoot in a large metropolitan city would be an absolute dream. I have always lived in urban areas and love the active buzz of being surrounded by people and endless activities – now that's a vibe I would love to see conveyed in a sleek, cool series of photos." "Five? I'm more of a phone-wallet-keys type of person, although I do carry a portable charger with me nowadays because I need my phone for work as well as Google Maps (my sense of orientation is pretty much non-existent). Maybe I should include my Polaroid camera as well? There you go, five items." "Choosing one is an impossible task as I love so many designers: Prada, Nicolas Ghesquière and JW Anderson." "Something that everybody acknowledges but still underestimates is the pressure that working as a model puts on your self-confidence and body image. Staying true to yourself is easier said than done, so it's incredibly important to surround yourself with supportive family and friends as a social safety net." "I have always admired Saskia de Brauw for the way she re-entered the fashion world after having pursued her own life goals and interests. Taking an independent decision like that and then returning with such confidence requires a lot of strength and persistence." "I've never thought about that actually. Maybe just a straightforward 'be the kind of person your dog thinks you are'? That seems like a pretty ambitious goal." …music? "Anything indie-rock- or deep-house-related, depending on my mood and the situation I'm in." …movies? "Palo Alto. Nothing puts me into such a self-reflective mood as that." …books? "As far as books go, I'm currently taking my sweet time with rereading 1984 and enjoying it very much so I'll go with that one." …food? "Food is not something I really have a preference in, although I do consume way too much pineapple for my own good."